UV+IR Engineering is the leading supplier of Ultraviolet (UV) curing systems to South Africa’s printing and packaging industries. The company has a 30-year track record of technical and service excellence based on our ability to supply special features such as automatic belt tracking and UV lamp intensity sensors as part of our standard package. UV+IR Engineering is the leading supplier of Ultraviolet (UV) curing systems to South Africa’s printing and packaging industries. The company has a 30-year track record of technical and service excellence based on our ability to supply special features such as automatic belt tracking and UV lamp intensity sensors as part of our standard package. 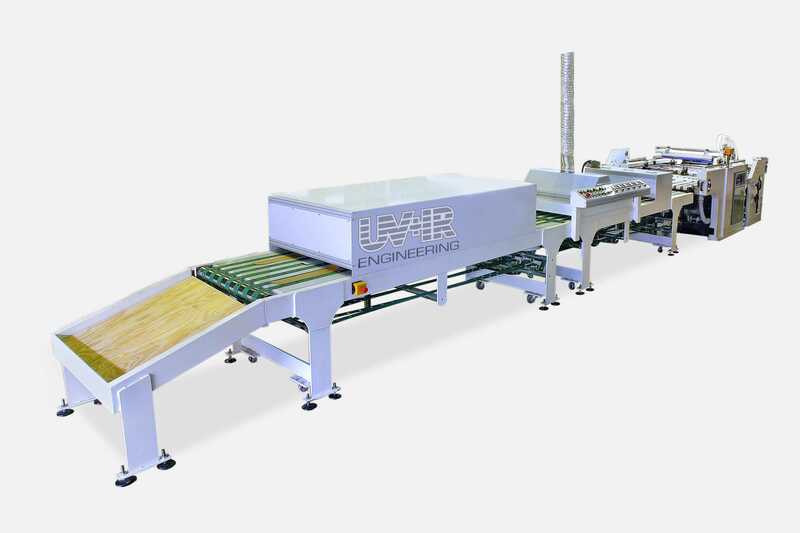 Our conveyors can be adapted for litho or screen printed curing applications. 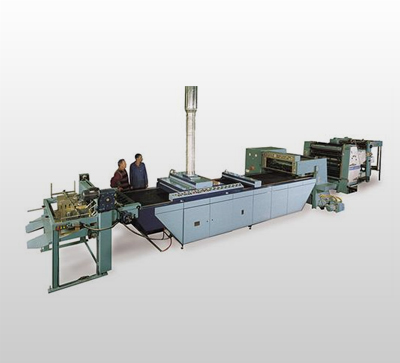 The equipment is mounted on castors for easy mobility and consists of a vacuum belt conveyor,UV lamp head, electrical control gear and Infrared heater for varnish flow out. The system can be designed to meet the individual requirements of each client. 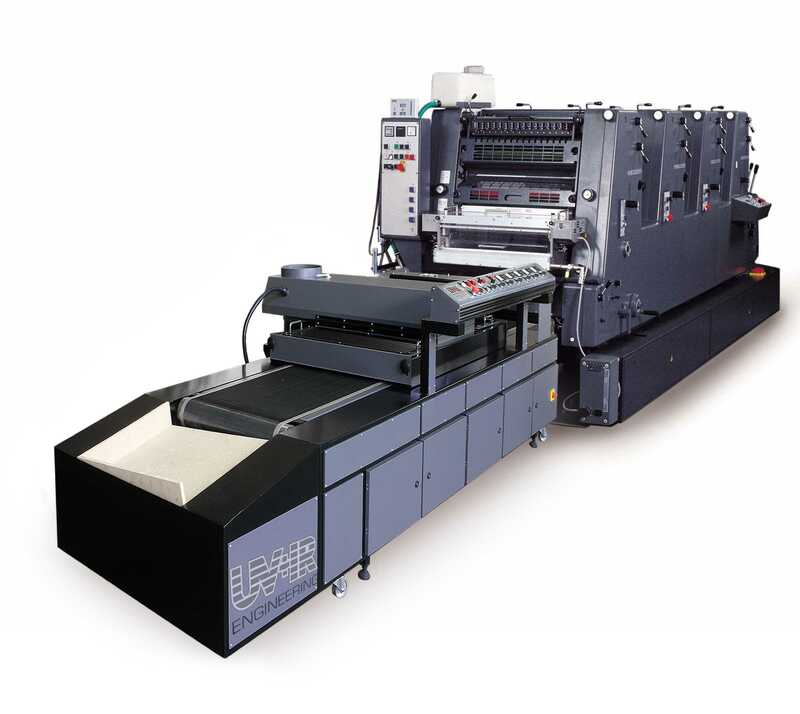 We can adjust the system to meet variable speed, stacking requirements and spot printing/spot curing needs. Our technology covers not only litho and screen printed products but also curing of inks on containers and curing on continuous printing applications. This proven technology increases the belt life by 300% and eliminates production down time due to faulty belt tracking. Contact-less sensors activate pneumatic cylinders on both sides of the belt to keep the belt centrally aligned whilst a floating tension and tracking roller compensates for the adjustments made by the cylinders. 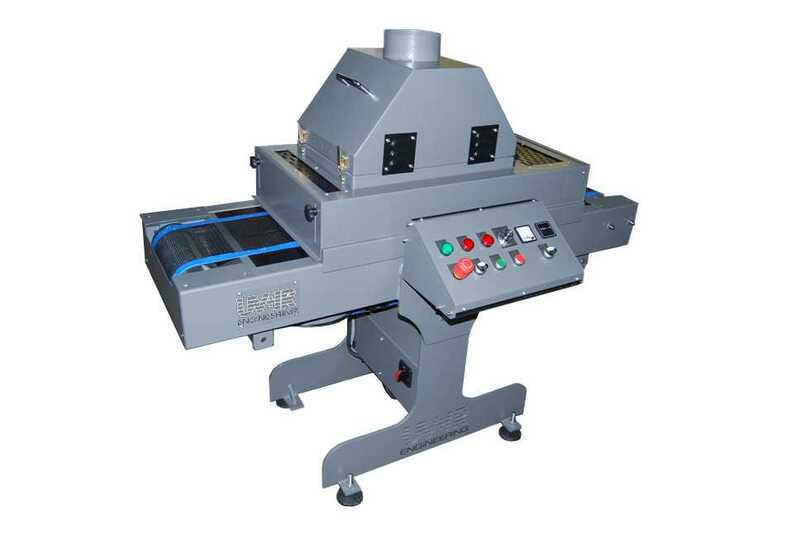 Sakurai silk screen printing machine complete with Ultraviolet and Infrared systems. Printed sheets are cooled after curing in a refrigerated cooling system and stacked on a stack table. Variable speed UV curing system complete with Infrared flow out system serving a Heidelburg Kord 64. 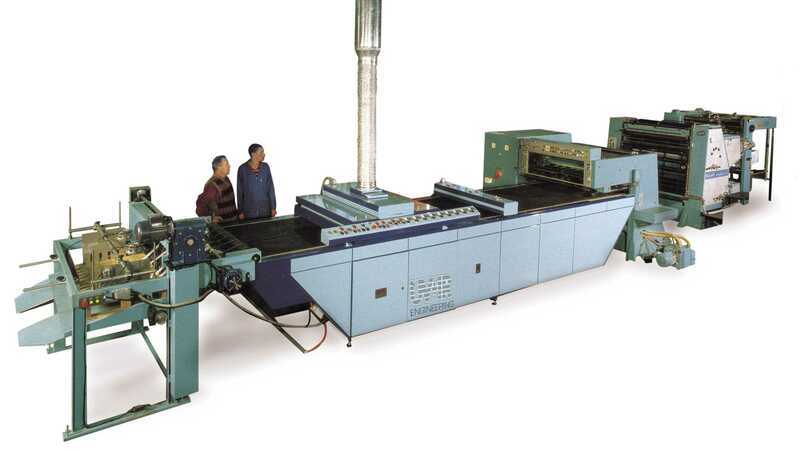 UV curing system operating with a Man Roland Offset Press. 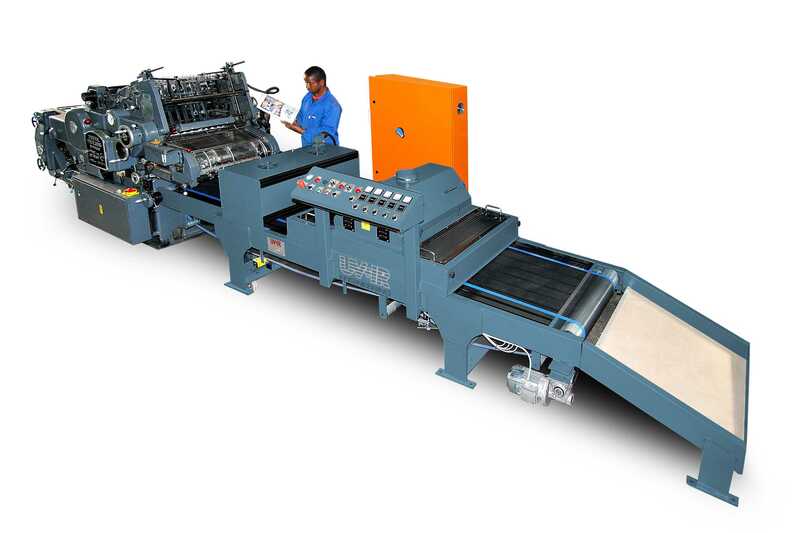 Cured sheets are stacked on automatic stacker. Mini UV curing unit for use in laboratories (Typical A5 sheet size). Infrared heating and UV curing system installed on a Heidelberg GTO52 offset printing press.